Baranof's Ketchikan halibut fishing resource. From Santa Barbra, California to Nome Alaska on the North American coast, and From the Gulf of Anadyr, in Russia to Hokkaido, Japan on the Asiatic coast. World record is 459 but larger halibut have been caught commercially up over 500 lbs. With two bulging eyes slapped on the same side of its head and lips that look like they could moonlight on Angelina Jolie’s face, halibut aren’t ever going to win any marine world beauty pageants. On a scale of 1-10, in fact, halibut scores a “one” for looks. Unfortunately, (for the halibut), it also scores an “11” on taste. These voracious bottom feeders are known for eating just about anything they can fit in their mouths, in fact if they are not scared of something, they’ll probably try to eat it. Scientist for years have used stomach analysis to study the habits of halibut, and they have commonly found everything from Crabs to sea birds in their stomach! 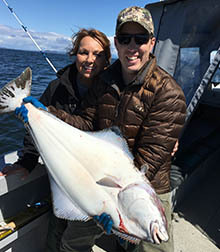 This is good news for fishermen, because many times once you’re able to locate a group of halibut you don’t have to work vary hard to make them bite. Halibut is one of the oldest commercial fisheries in Ketchikan, dating back to the early 1900s when the halibut schooner fleet began home porting in Thomas Basin. In those days, fishermen with colorful names like Rotten Robert and Blood Poison Bill were paid by the number of halibut they caught. Instead of counting the actual fish, however, the fishermen cut out each halibut's tongue and then presented it for pay. While Atlantic halibut are currently considered an endangered species (due to mismanagement and overfishing), Pacific halibut are still thriving in the waters surrounding Ketchikan. This is primarily because of Alaska's strict sustainability regulations, which state that any commercially caught halibut under 32 inches be thrown back in. 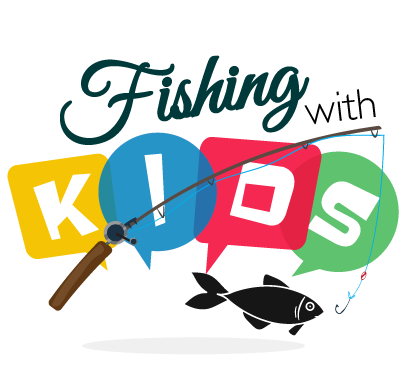 The same rules do not apply to sport fishers, of course, though strict limits are enforced. With few predators, halibut naturally live long lives and have known to grow as big 533 lbs. (although local fishermen swear that the largest halibut ever caught weighed in at 694 lbs.) Anglers can't call their halibut a trophy fish until it tips the scale at 250 lbs. The local average is a young and tasty 27.5 lbs. Long before Alaska's commercial halibut fishery existed, long before nylon fishing line, hydraulic winches, and fancy "fish finding" GPS systems, Native Alaskans subsisted on halibut. They fished from dugout canoes with special hooks elaborately carved out of yew wood and fastened together with strands of split spruce root. Fishing line was woven from bull kelp or the inner bark of the cedar tree. And instead of employing a navigating system, they relied on their spirit guides to help them find and catch the mighty fish. Because they fished from small dugout canoes, Alaska natives had to be careful not to hook a halibut too large - a monster-sized fish would easily capsize their boat. For this reason, hooks were designed with just enough space between the base and the barb to catch a halibut no bigger than what the canoe could handle. The Alaska Natives' clever fishing methods came as a result of quietly studying their prey. Observing that halibut inhale their food (rather than bite or nibble at it like salmon and other fish do), they designed a V-shaped hook fitted with a barb. When the halibut sucked in the bait, the barb lodged itself in the fish's cheek. Today, commercial longliners and sport fishermen use circle hooks, which are amazingly similar to the traditional Native halibut hook design concept.